COAST CITIES — On paper, retired Petty Officer 3rd Class Elisa Wyatt’s job as an IT specialist in Afghanistan shielded her from battle. But in reality, she was often in harm’s way. Rockets struck her base periodically. On one occasion, she was close enough to hear one whizz by. Luckily, she was unscathed. Under a recently announced Pentagon plan, women would be able to apply for combat jobs previously only available to men. The plan drew a rebuke from critics, who question whether women possess the agility and strength to permanently serve in direct combat situations. In response, some argue that women are already serving in battle positions, and that they deserve recognition for doing so. Since 1994, women have technically been prohibited from serving in direct combat roles on the ground. 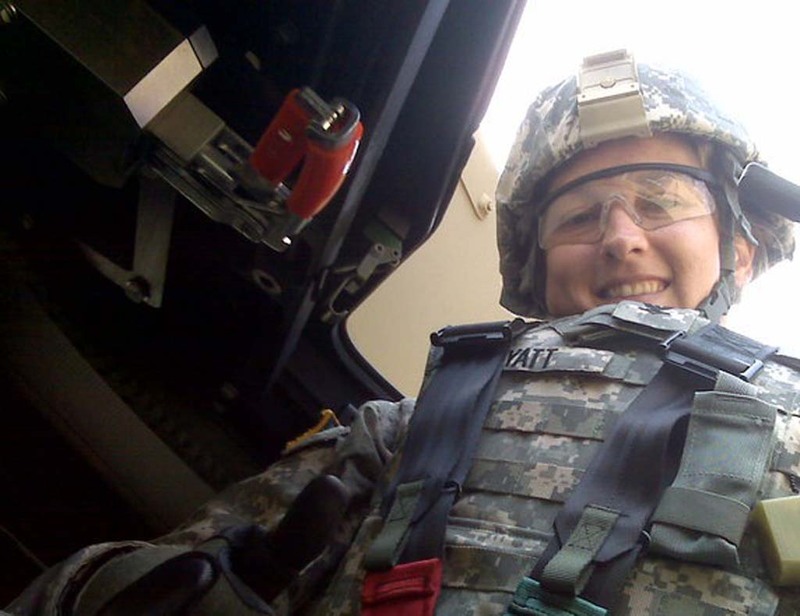 But many women serving in Iraq found themselves caught in ambushes or in unexpected firefights — a common occurrence because of frontlines being much less defined in modern warfare For her part, Wyatt didn’t shoot at combatants, though she was trained to. But she did come in contact with women who performed heroic acts in the heat of battle. Physically speaking, Wyatt believes she was just as qualified as the men in her unit. “I was one of the best shots in my class,” said Wyatt, adding that she schooled some men in basketball and occasionally led runs in her unit. Most importantly, in Wyatt’s mind, the Pentagon’s plan will give credit where credit’s due, considering that women are already a part of combat situations. She added that she was put in harm’s way once going outside the wire, raising the likelihood of a combat situation. Wyatt, a San Diego resident who served for almost 10 years, retired from the Navy last year with brain and spinal injuries following an accident in a simulator designed to prepare troops on how to escape Humvee rollovers. She noted that the simulator subsequently injured others, including paralyzing a man from the waist down. With ranks totaling more than 200,000, women make up 15 percent of the military. For the first time, women could be permanently assigned to combat-heavy field and armory battalions, as well as platoons and squads. By 2016, more than 230,000 previously unavailable combat roles will be open to women in the Army and Marines. “Female service members have faced the reality of combat, proven their willingness to fight, and yes, to die to defend their fellow Americans,” said Defense Secretary Leon E. Panetta last week during the announcement. Under the plan, the military will set gender-neutral standards for combat roles. In his speech, Panetta said the standards would not be weakened to accommodate women or anyone else. “Let me be clear, I’m not reducing the qualifications for the job, if they can meet the qualifications for the job, then they should have the right to serve, regardless of creed or color or gender or sexual orientation,” Panetta said. Some groups maintain the military’s plan will gradually degrade job standards. “What needs to be explained is how this decision, when all is said and done, increases combat effectiveness rather than being a move done for political purposes,” Hunter said. 152 women have lost their lives in Afghanistan and Iraq, according to U.S. Department of Defense statistics. Those deaths haven’t quelled the support for allowing women to apply for combat roles. According to a recent poll from the Pew Research Center, 66 percent of Americans support women serving in ground units that engage in close combat. “The door was opened for them recently, that’s for sure,” Jones said. Also, she said the decision would help give more weight to issues unique to women veterans. “Women have issues that sometimes weren’t recognized,” Jones said, citing homeless female veterans with children as one example. Congress will review the Pentagon’s plan in the coming months.